Austworld has been helping plumbers and builders deliver great products since 1987. 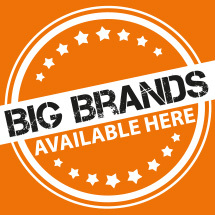 They can now boast of the most extensive range of plumbing supplies and over 50 years plumbing and draining experience. All products undergo rigorous in-house testing and quality controls. The extensive product range includes the following brands; Tita Flex, Metforge, Logivalve, Monopoly Tapware and Quikpex Water.